New Jersey: Deer and your Landscaping... Perfect Together? "You have deer in New Jersey?"... How many times have you been in that conversation outside of our state? Of course the answer is yes, in fact there are so many deer that they actually pose a problem in more places than not! So, not only are we the most densely populated state in the US, but we have one of the most dense deer populations as well! The variables to this equation are adding up to trouble for many residents of our beautiful garden state! Read more about New Jersey: Deer and your Landscaping... Perfect Together? Please welcome Hall's Garden Center and Florist as our newest Retail Partner. Located in Berkeley Heights and family owned and operated since 1978, Hall’s Garden Center and Florist has become one of the largest garden centers in Central New Jersey. With emphasis on customer service and consistent unique product, Hall’s Garden Center offers a selection, which can satisfy even the most eclectic palate. All of their plant material is hand picked from sources throughout the country and they welcome special ordering throughout the year. Since 1979, Metropolitan Plant & Flower Exchange has become one of northern New Jersey's largest and most respected names in garden center and flower retail. They are committed to providing their customers with high quality products and exceptional service. Their products range from creative flower arrangements, gift baskets, plants, home furnishings, silk arrangements, beautiful wedding designs and corporate services. Please welcome The Friend's newest retail partner: Sunnyside Garden & Gifts. Sunnyside's full service Garden Center & Gift shop is a one-stop resource for garden enthusiasts. This family-owned nursery is opened year round and provides a friendly and knowledgeable staff to help you. $118 per person seating from 5:30pm to 10pm at Blue Morel. The Wine Room is available for a private party of couples, family or friends up to 18ppl. On Sunday 2/15, we will feature a Lover’s Sunday Brunch Buffet from 12 noon to 2pm $38 per person includes oyster, shrimp and lobster and a glass of champagne, mimosa or a Bloody Mary. Please call 973-451-2619 for reservations. Remember your Friend's of The Frelinghuysen Arboretum Membership Card to enjoy your 10% discount on all food purchases. Click here to learn more about our Retail Partner Blue Morel Restaurant. 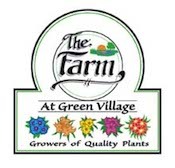 Join Rich Imlay from Jonathan Green lawn products again on Sunday, September 7th from 11am - 2pm at our Retail Partner: The Farm at Green Village. Bring your soil samples for testing and talk with Rich about your lawn problems. 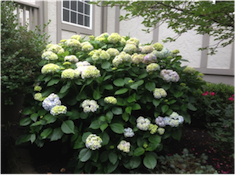 Rich will diagnose your grass situation and make recommendations both organic and synthetic. For tomato enthusiasts, talk with Rich, who is very knowledgeable about growing a high quality tomato and improving it's disease resistance with planting techniques. Read more about Have Common Lawn Questions? Back to Nature & Birds! Birds are a valuable addition to the garden. They offer the ultimate in organic pest control by stopping garden pests in their tracks with their hungry beaks. A single chickadee can eat more than a thousand scale insects, aphid eggs, and grubs in just one day. Birds are also excellent pollinators – always a welcome addition to a healthy garden. 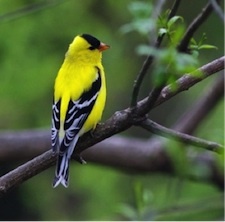 You can attract beneficial birds by simply adding a bird feeder. But an even better solution is to offer up a variety of sustainable resources for our feathered friends by planting berry producing shrubs and fruit trees. Read more about Back to Nature & Birds! The snow, ice, and wind of winter can be tough on your trees so now is the time to schedule pruning. Removal of dead or diseased wood can greatly reduce the risk of falling branches this time of year. Plus, pruning can improve the overall health and appearance of your trees, getting them in shape for spring. Our company, New Jersey Deer Control (NJDC), is a deer repellent spraying service. We use our own patented product and guarantee to protect landscapes from deer damage. We are deer repellent specialists with an extensive knowledge of deer and their habits, and we consider ourselves the leaders in the industry.